Recently, Honeyville contacted me and invited me to do a guest post on their blog. As many of you already know, Honeyville's blanched almond flour is my absolute favorite grain-free flour to use for baking. I love the quality of baked goods it produces...so naturally I was super excited, happy and flattered when I was invited to do a guest post on their blog. I've used their almond flour for almost 2 years now and find that it produces a better quality and much finer textured baked good than any of the other brands of almond flour I have tried. 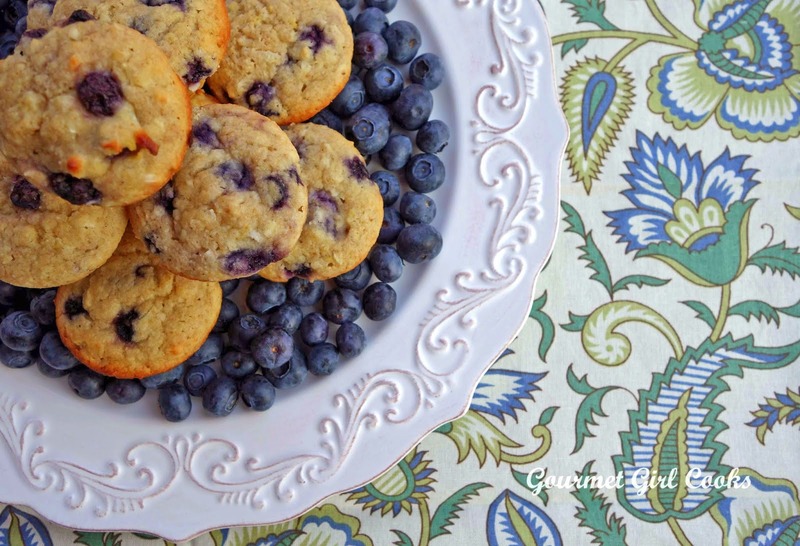 To celebrate this special occasion, I used their blanched almond flour to create Lemon Blueberry Muffins that make a great breakfast, or a delicious little snack and they go perfectly alongside a cup coffee or tea. Click here to get my recipe for these easy to make moist and delicious little beauties: Lemon Blueberry Muffins - Grain-Free. Enjoy! Gg, no need to answer me, I used stevia! Hi GGC, this recipe is delicious! It was my first time using Honeyville almond flour - makes a big difference. I made the recipe using regular-sized muffin pans (I don't have a mini-muffin pan) and I went a little crazy with the blueberries. They came out a bit moist in the middle. Assuming next time I don't go overboard on the berries, what do you suggest for a temperature & cooking time for regular sized muffins? Thanks very much, I can't wait to try more of your recipes! any reason not to use frozen blueberries? fresh not available this season of year, and don't know where to find freeze dried.